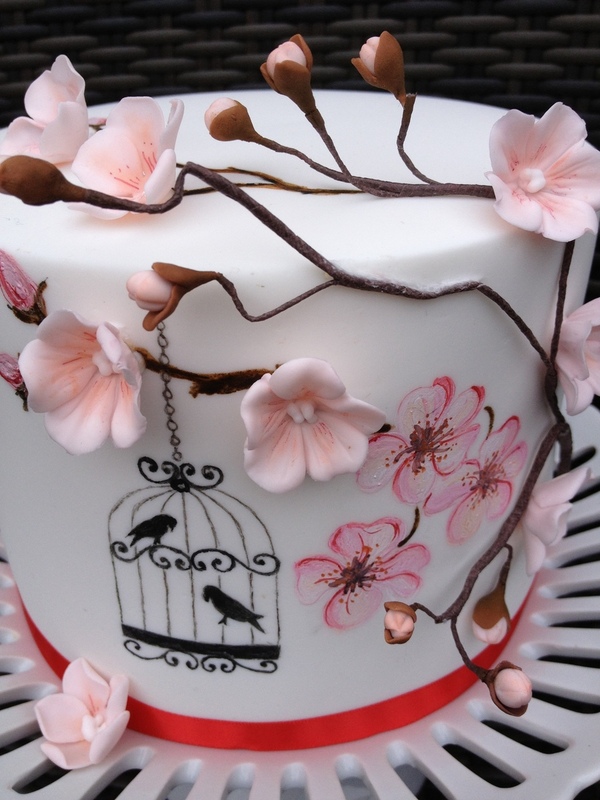 This cake was hugely inspired by the work of Erin from Three Little Blackbirds (TLB Cakes). 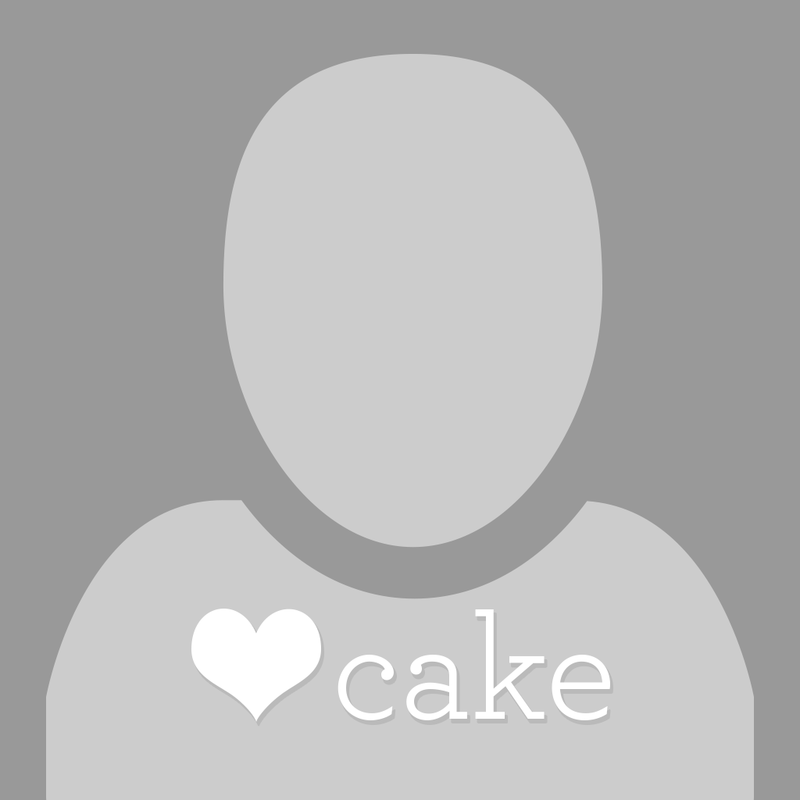 After watching her fabulous free mini class on Craftsy I went about to find a project to do. 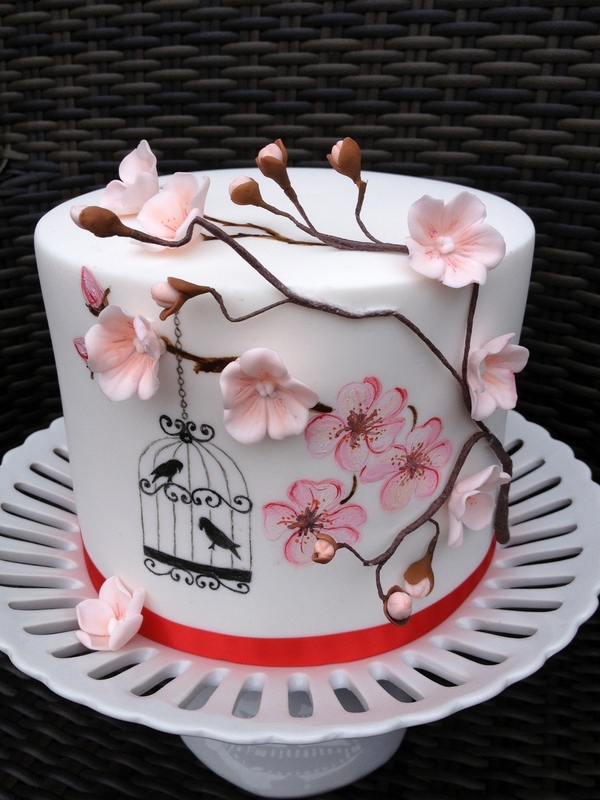 While researching cherry blossoms I came across a fantastic handpainted cherry blossom cake by Môn Cottage Cupcakes. 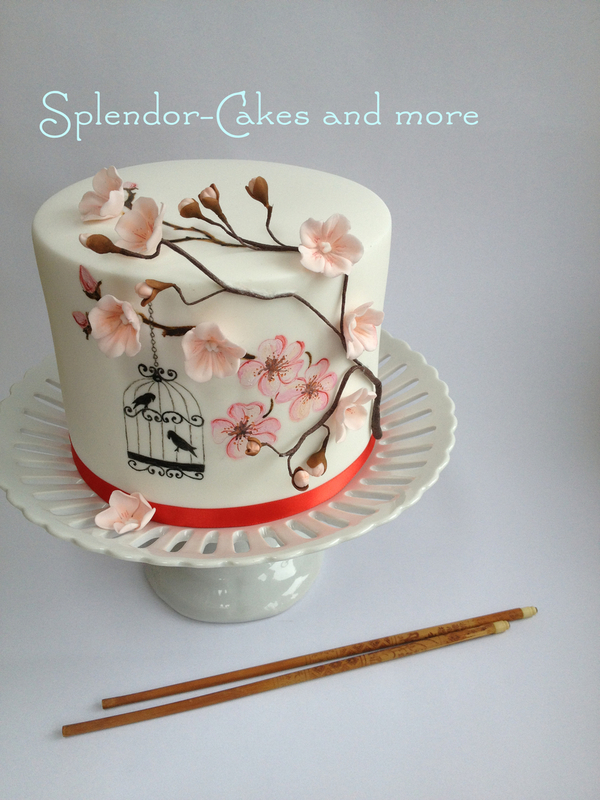 When I contacted Nina to rave about her stunning cake, she sent me her handpainted cherry blossom tutorial. 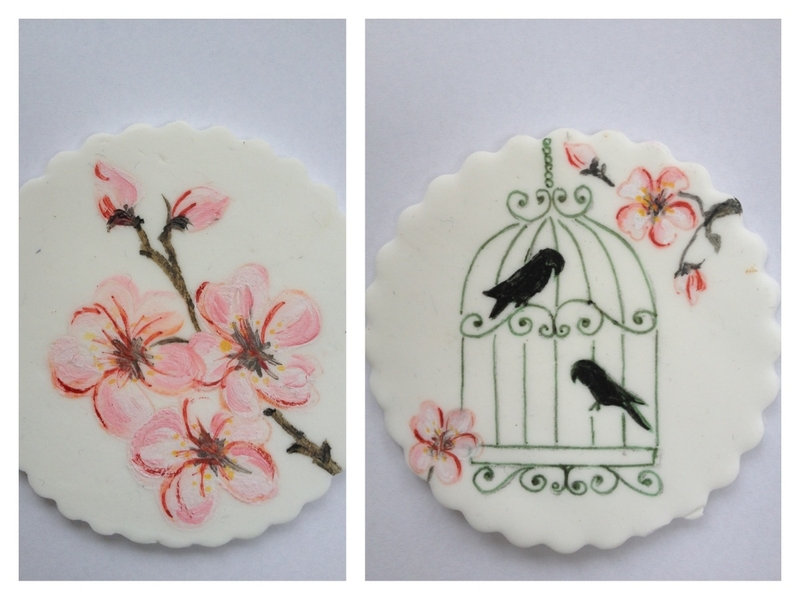 Even though I had done my cherry blossoms at this stage, I found many more fabulous tips in it.